Despite a famous surname, and comparisons to Mitchell Starc, Pakistan's prodigious paceman Shaheen Afridi won't be pigeonholed. Even though, at six-and-a-half feet tall, Shaheen Afridi towers over most other players at the 2018 ICC Under 19 Cricket World Cup, the most striking thing about him isn’t his height; it’s actually his demeanour that’s most noteworthy. On first sight, the impression one gains of him is that of a gruff, old-fashioned paceman, all aggression and intensity. So his mischievous side, witnessed during one of Pakistan’s Group D matches in Whangarei, came as surprise – while fielding in the deep he had a quick snack comprising solely of potato chips, a bib-wearing squad-mate acting as the facilitator. Despite how he looks from afar, and how he acts when bowling, it is clear from talking to him that he is more than just a mean speedster. Though he was shy and all polite smiles initially, after some coaxing in Hindi though, he was soon in deep conversation on everything from Salman Khan and Bollywood to idolising Wasim Akram. It was an entertaining chat, but his bowling, when he’s on song, is an absolute treat. He steams in unhurried, and goes through his delivery in one natural, clean motion. In keeping with Pakistan’s tradition of churning out express pace bowlers, Shaheen is properly fast as well, and allayed with his height, it’s a powerful cocktail – something the South African batsmen found that out the hard way during their Super League Quarter-Final at the Hagley Oval in Christchurch, when he claimed the wickets of both openers. When Shaheen was introduced, the pair of Matthew Breetzke and Jiveshan Pillay had made it through the first five overs unscathed, with Breetzke in particular looking in good form, a couple of exquisite straight drives ending up at the fence. By the end of the sixth over he was out, foxed by a delivery that bounced more than expected, moved across him, and found the edge on its way to the keeper’s gloves. Shaheen struck again in his third over with an even better delivery, nipping one in from outside off, drawing an inside edge from Jiveshan Pillay, and disturbing the stumps. South Africa never fully recovered, posting only 189/9, with Pakistan going on to win by three wickets with 13 balls remaining. It was almost unavoidable that Shaheen would turn into such a promising player given that he’s grown up knowing only cricket. His brother, Riaz Afridi, made his Test debut for Pakistan when Shaheen was just four. Riaz wouldn’t play another Test, but young Shaheen was awestruck, and his love for cricket was sealed at an early age, with the younger Afridi still looking up to his sibling for advice. Riaz’s success also helped Shaheen have that conversation with the parents, one that every teenager dreads – plans for the future. Riaz’s achievements convinced the family that cricket was a viable career option, and Shaheen was overjoyed, with wider recognition coming soon after. It was on first-class debut for Khan Research Laboratory that he really made his mark, setting a record for best figures on debut by a Pakistani with a return of 8/39 against Rawalpindi in the Quaid-e-Azam Trophy. 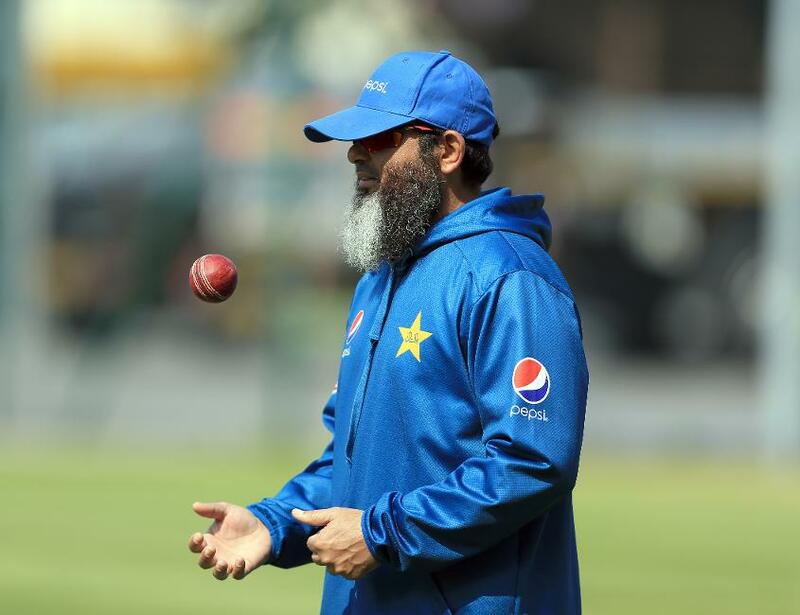 At the ICC U19 CWC, he has so far displayed all the qualities that led to the hype, and he’s credited Mushtaq Ahmed, the former Pakistan legspinner who took him under his wing during the U16 days, for his meteoric rise. It would be unnatural for a young Pakistani fast bowler to grow up without idolising either Wasim Akram or Waqar Younis. Shaheen looks up to them both, and even had a chance to pick Akram’s brains not long ago. “Wasim bhai had met me in Australia recently,” he said. “He gave me some very nice tips, like how to use the kind of conditions we were going to experience here in New Zealand. He made me understand a few things very nicely, like how to attack with a Plan B when plan A doesn’t work. Irrespective of how Pakistan progress in this tournament, Shaheen has made a name for himslef. There are already calls on social media for him to be named in the senior squad is indicative of that, even if it is a bit too soon. Shaheen’s progress here on must be managed carefully – young fast bowlers can break down under heavy workload, and he should be eased into the senior set-up. It’s stated with enough annoyance to ensure that line of questioning wouldn’t continue. Perhaps those early impressions of a fierce paceman weren’t too far off the mark after all.